Signet’s aim is to deliver an acceptable growth in value to shareholders which is sustainable, thereby protecting shareholders’ short and longer term interests. Signet’s responsibilities to shareholders are set out in more detail in the Corporate governance statement. Signet is committed to maintaining open dialogue with its shareholders on SEE and other matters. Signet’s mission is to meet, and where possible exceed, customer expectations through a high standard of customer service, high store standards, and by offering real choice and value. 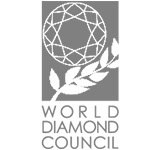 In doing so Signet endeavors to maintain product integrity by ensuring the quality of Signet’s products and by offering merchandise that is responsibly sourced, and is in compliance with its obligations under the Kimberley Process Certification Scheme (KPCS) and the WDC System of Warranties (SoW), and the Dodd-Frank Wall Street Reform and Consumer Protection Act, Section 1502 relating to Conflict Minerals. Team Members are key to Signet’s ability to achieve its objectives and mission. Therefore teamwork, integrity, communication, and fair treatment all play an important part in the way the Company operates. Furthermore, Signet’s ability to operate in accordance with its Principles is dependent on its Team Members’ understanding of them and how they impact on their respective roles and responsibilities. Signet considers its relationship with its Team Members to be excellent, valuing honest, open and constructive two-way communication throughout the organization. This is achieved through store, area and regional management meetings in addition to staff opinion surveys, feedback reports and staff meetings. These procedures facilitate consultation during which the views of Team Members can be expressed and taken into account in decisions likely to affect their interests. Team Members are kept informed of Signet’s performance and objectives through management contact supplemented by staff publications in both the US and UK. The involvement of Team Members in Signet’s results is encouraged through participation in performance-related incentive payment schemes and savings-related share option schemes, which include all Team Members, subject to minimum employment requirements. Signet does not restrict or discriminate against Team Members who wish to be covered by collective bargaining agreements. Signet’s policy is not to tolerate any form of unlawful discrimination on any grounds or at any level. In respect of people with disabilities, full and fair consideration is given to employment, opportunities for training, career development and promotion according to their skills and capacity. The services of any existing Team Members who become disabled are, where possible, retained and appropriate training is arranged for them wherever possible. There are dispute resolution procedures in place in both divisions. Signet assigns responsibility for human resource matters, including health and safety, to divisional executive management committees. Both the US and UK operations have established systems which include the provision of training and development opportunities at all levels of the organization. As a result of our commitment to our core values and the culture of our Company, along with our employment and advancement programs, more than 68 percent of all our store management staff are female, and female participation in management positions continues to increase. Women represent a critical and significant part of our senior and executive leadership team and we are fortunate to have four outstanding women as Board members. Signet is proud of the fact that our Company is and has been a place where all employees can succeed and advance. The percentage of female team members and managers at our Company is far in excess of the industry average of 44.1% reported by the U.S. Government’s Bureau of Labor Statistics. Even with these demographics, we believe we have a responsibility to lead and continuously improve. 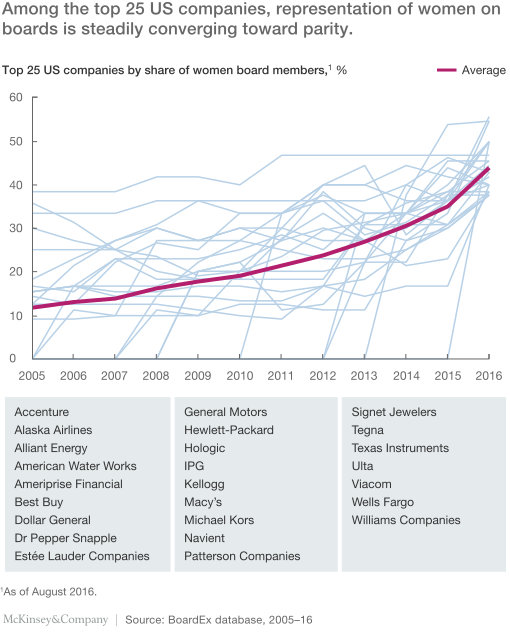 Moreover, a recent McKinsey Quarterly Article names Signet as one of the top 25 companies in the US S&P500 for women’s representation on our board of directors. Signet recognizes that stakeholders expect companies to exert influence, where possible, over suppliers to ensure that SEE standards are upheld throughout the supply chain. The Supplier Code outlines Signet’s commitment to its suppliers and the expectations it has of them. 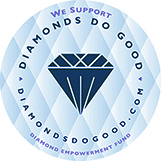 It includes requirements relating to legal compliance, health and safety and labor conditions, freedom of association, the environment, ethics and conflict diamonds. The Supplier Code applies to suppliers and agents with whom Signet deals directly and Signet regularly discusses its implementation with them. Those suppliers and agents are encouraged to ensure that the Supplier Code is communicated throughout the supply chain. Signet regularly communicates to all priority sources of diamond and gold jewelry highlighting the importance it places on a responsibly managed supply chain and reminding them of the expectations it places on them as suppliers to Signet. Most of the raw and processed materials, for the merchandise sold by retail jewelers are traded on commodity exchanges or through multiple brokers and traders thereby making the original source difficult to trace. Signet believes that SEE risks at the mining, trading and secondary processing phases of the supply chain are more effectively managed through co-operation within the industry. 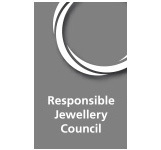 In Signet’s opinion, the most efficient way of addressing supply chain issues is on an industry-wide basis and that one way of doing that is through the Responsible Jewellery Council (RJC), of which Signet is a founding member. 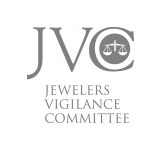 In addition to the RJC, Signet actively participates in the WDC, JA, JVC as well as leading the facilitation of a working group comprised of industry, governments and civil society in considering what action can be taken to set international industry SEE standards and positively influence the continuous improvement in the integrity of the global jewelry supply chain. Signet supports the Fundamental Conventions of the International Labour Organization and the UN Declaration of Human Rights, and encourages support and respect for the protection of human rights within its sphere of influence. The Supplier Code sets out the Signet’s expectation that suppliers should respect the Fundamental Conventions of the International Labour Organization and the UN Declaration of Human Rights. Signet is engaged at a senior executive level to address human rights in the jewelry supply chain on an industry-wide basis directly with civil society and government and through the RJC. Signet’s prime benefit to society is through the contribution it makes to the success and efficiency of the economies in which it operates, through the employment it generates both within the business and throughout its supply chain, the taxes it pays and the value it creates for shareholders. In addition, both Divisions have local community relationship programs. A diversity champion has also been appointed in both the US and the UK. Signet believes it is best to give support to a small number of specific charities rather than fragment its charitable giving. 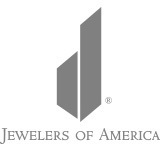 In the US, Signet’s support is primarily given to The United Way, St. Jude Children’s Research Hospital and Jewelers for Children, the industry’s charity. Click through to the following pages to find out more about Conflict Diamonds and the Gold Supply Chain. Recent years have seen a significant increase in stakeholder expectations of public companies. Today, monitoring, managing and responding as a business to these changing expectations, including with regard to SEE issues, has become part of the normal responsibilities of corporate management. Signet regularly carries out SEE risk reviews and benchmarking exercises with the assistance of an external adviser. Such reviews include an assessment of policies, procedures and controls with respect to SEE matters. Signet is committed to the support of charitable organizations and believes it is best to give support to a small number of specific charities rather than fragment its charitable giving. In the US, Signet’s support is primarily given to St. Jude Children’s Research Hospital. Signet Jewelers is proud to support St. Jude Children’s Research Hospital. 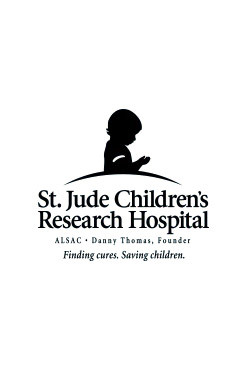 St. Jude Children’s Research Hospital® located in Memphis, Tenn., opened its doors in 1962 with the mission of finding cures and saving the lives of children fighting cancer and other deadly diseases. St. Jude was founded by the late entertainer Danny Thomas, who believed that “no child should die in the dawn of life.” In 1999, we were looking for a way to give back to the communities in which we operate across the country. Inspired by the courage of the kids of St. Jude, we embarked on our partnership in caring with St. Jude. This year, we presented St. Jude with a check for $6.3 million, our largest donation ever. Thanks to the generosity of our customers and our Team Members, we have raised nearly $53 million in just 17 years. These funds have aided many programs at St. Jude including the build of the Kay® Research & Care Center, which will help usher in the new era of research, education, collaboration, care and treatment of the kids at St. Jude, the expansion and remodel of the St. Jude cafeteria, now known as the Kay® Kafe, renovations to the second floor in-patient care center, patient registration area and Solid Tumor Clinic and the St. Jude Children's Research Hospital-Washington University Pediatric Cancer Genome Project, which resulted in the largest-ever release of comprehensive human cancer genome data for free access by the global scientific community.